I’ve been asked about visiting Ireland with kids twice in the past week or so. So, given that and the fact that St. Patrick’s Day is coming up, I thought I’d be patriotic and devote a few posts to visiting Ireland. This entry was posted in International Escapades, Ireland and tagged Adare, Adare Manor, Cobh, Cobh Heritage Center, Cork, Ireland, Itineraries, Kinsale, Oysterhaven on March 7, 2010 by wandermom. I was trying to put some order on our digital photo collection over the weekend when I came across this photo. 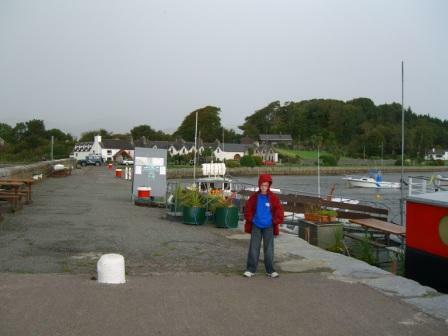 It was taken on a visit to Ireland with our children on beach near Kenmare, Ireland in September 2005. Those are my boys looking about the size of a pair of leprechauns in the photo. 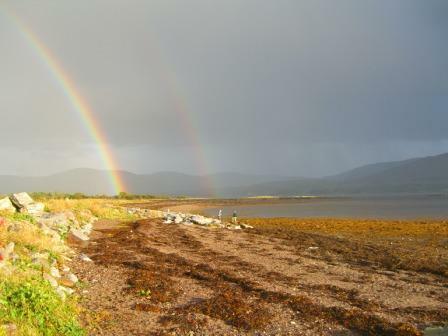 When rainbows shine so brightly, it’s no wonder there are folk legends about pots of gold! When you arrive from the U.S., everything in Ireland can seem smaller. And it’s true, even Dublin, the capital city has a much lower profile than even a moderately-sized U.S. city like Seattle. There are no high-rise buildings. But when you leave the cities and go explore the small towns and villages like Kenmare, you start to get used to the differences in scale. And it’s so green and so picturesque. We go to Ireland a lot. As I work through my photo collection, I’m sure I’ll add more posts with fun things to do with kids there. But mostly, we go to visit family. And sometimes, even with a just-a-family trip, something unusual happens: our 2005 trip was planned so that we could attend a sibling’s wedding. And on the day of the wedding, another sibling had a new baby. How often does your family grow by two on the same day ? 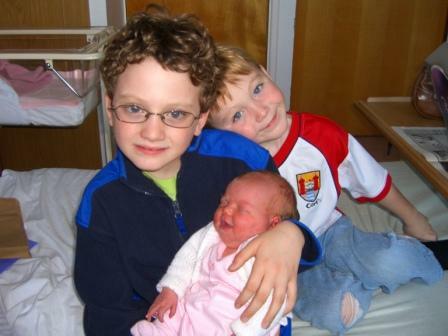 Here’s CAM and BigB saying “Hi” to their new cousin Caoimhe. 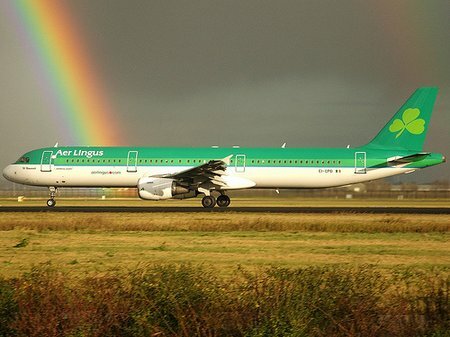 You can fly direct to Dublin (DUB) or Shannon (SNN) from many U.S. cities. Jury’s Inns is a local mid-priced family-friendly hotel chain with locations in many cities in the U.K. and Ireland. They have family rooms which sleep 4 (not always easy to find in Europe). Kids will love discovering castles and climbing stone walls. My kids particularly enjoyed the Bunratty Folk Park . 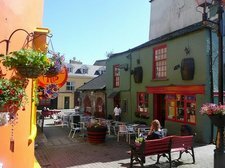 This entry was posted in Ireland and tagged Ireland, Kinsale on August 24, 2008 by wandermom.